Happy new year, readers! 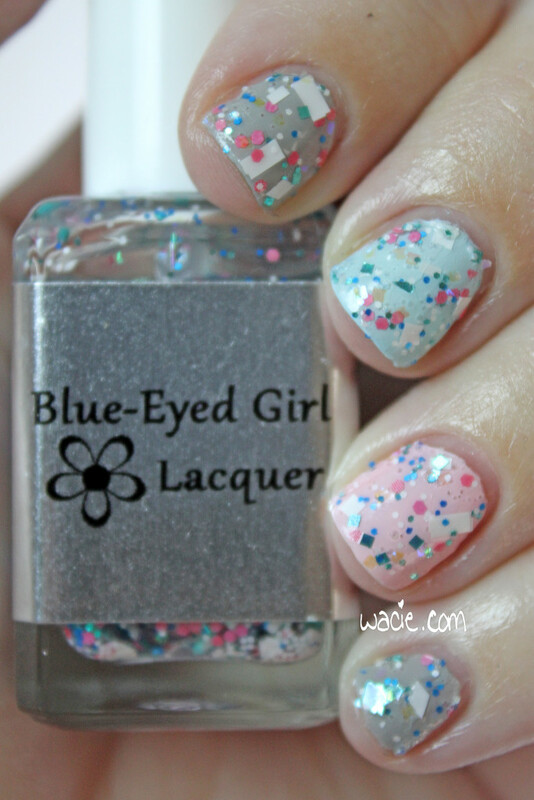 My first mani of the year is a Blue-Eyed Girl Lacquer prototype. I’m wearing one coat of PCFS 1.0 over China Glaze’s Pelican Gray, Julep’s Martha, and Essie’s Mint Candy Apple, as well as a coat of Ciate’s Speed Coat Pro top coat. 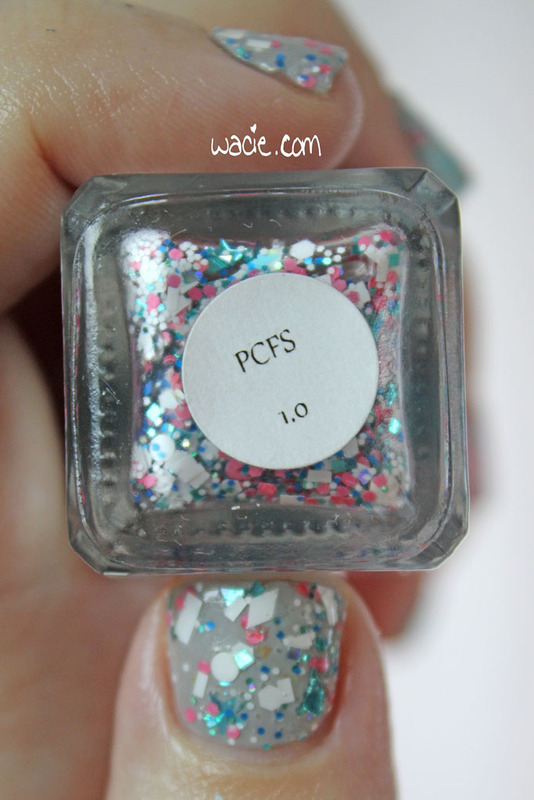 PCFS 1.0 is a clear glitter topper with glitters in matte white, royal blue, pink, and holographic turquoise. 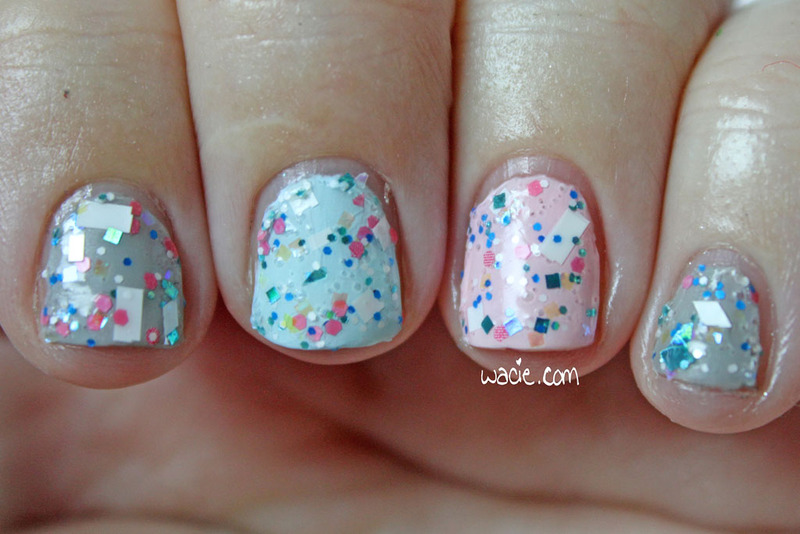 Shapes include pink hearts, holographic turquoise stars and shreds, white rectangles and dots. There are also some iridescent glitters. 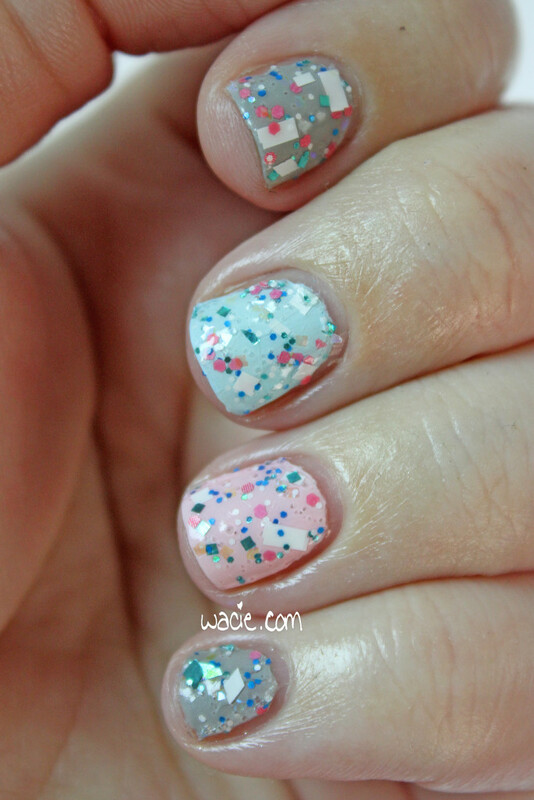 Most of the glitters spread out evenly; rectangles and shreds came out easily, but the hearts and stars eluded me. Regardless, I still got a fun look and good glitter coverage. Drying times were fast. Application was easy. This was a pretty nice polish to use and wear. Because this is a prototype with a prototypey name, I gave it a nickname: RETROLOVE. I don’t know why it’s all caps, but it is. These colors together just scream Miami Vice to me. 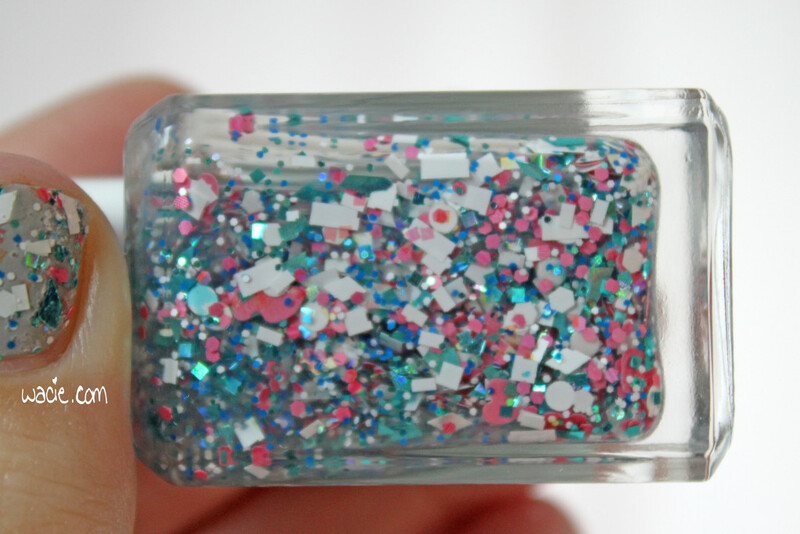 As this is a prototype, it’s a one-of-a-kind polish and there aren’t anymore in existence. Sorry! The BEGL shop will reopen on the ninth of January, with a new winter collection launching on the 12th. 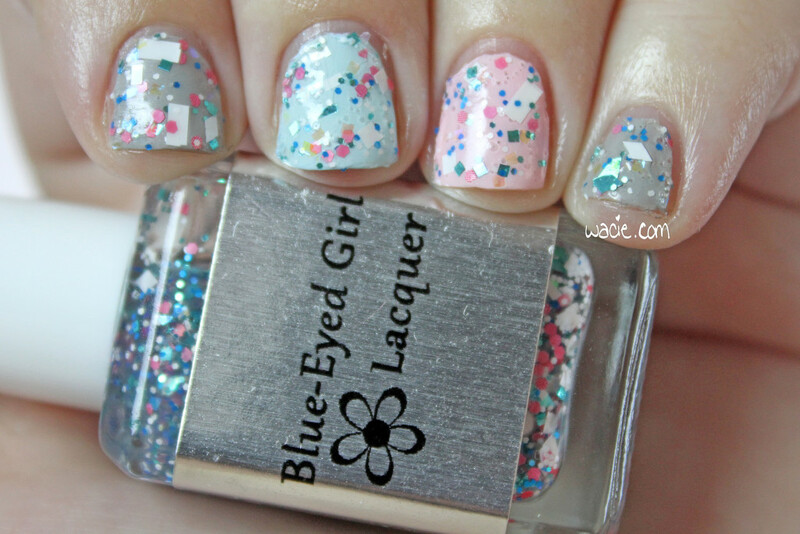 This entry was posted in Swatch Saturday and tagged accent nails, blue, Blue Eyed Girl Lacquer, Essie, glitter, gray, indie, Julep, pink, swatch.